Julia’s new obsession for the past month and still going strong is the “Merbun”. 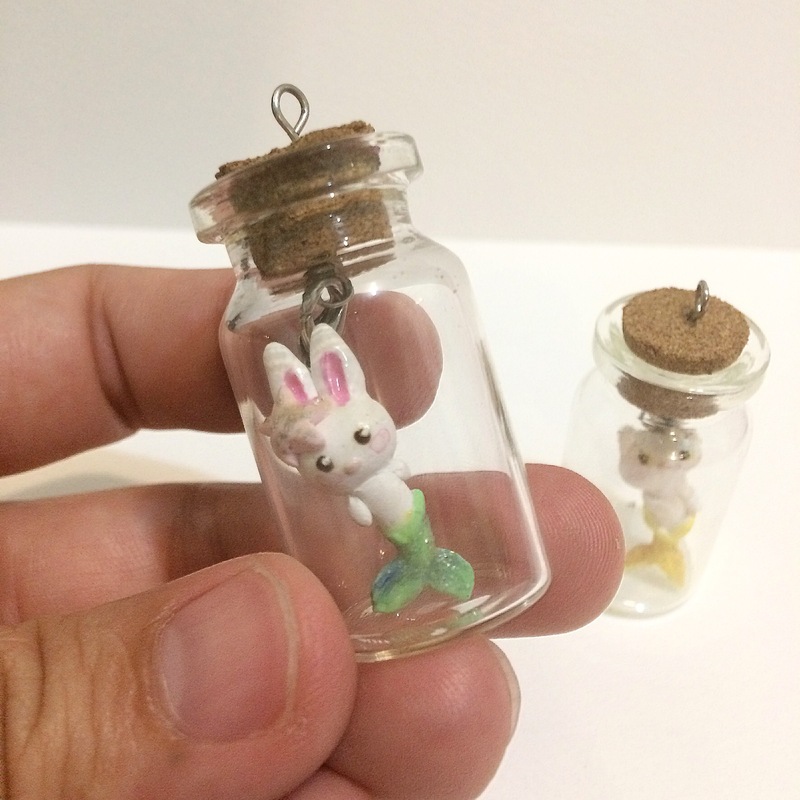 This is a cross between a Mermaid and her ever favorite bunny, thus the birth of the Merbun! She has been busy searching the internet for her new character and was happy to report that there were no Merbuns in Youtube. Google proved to be less than successful because there were about two sites who yielded the Merbun result. 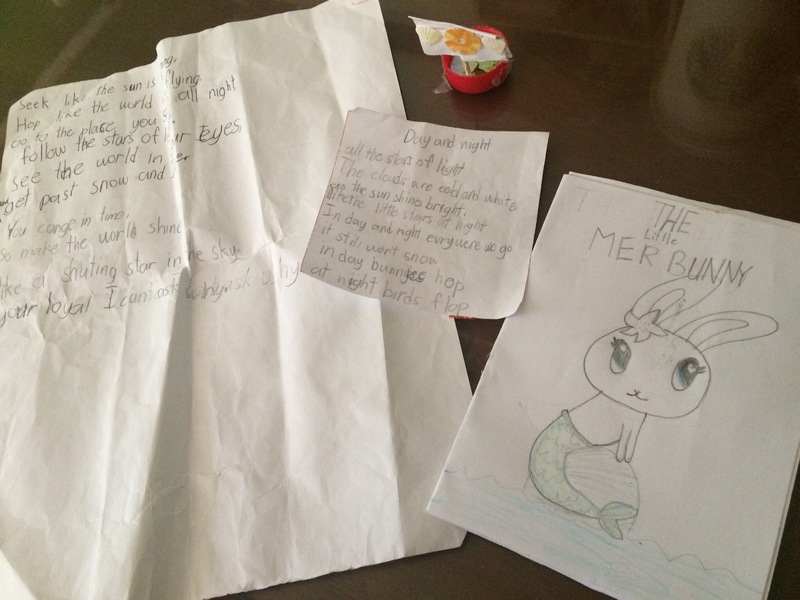 Oh my ever competitive Julia..
She also made a book about the little Merbunny. It’s about a bunny who loves the sea that progresses to her full Merbun glory haha! Here it is with some of her practice poems. And she’s not even finished with this yet. She made it into a sculpture that she can wear always. It’s accompanied by the Merpup(py) that she plans to give to her bff. She has been bugging me for two weeks to make it into a pendant that I finally did just this Saturday. 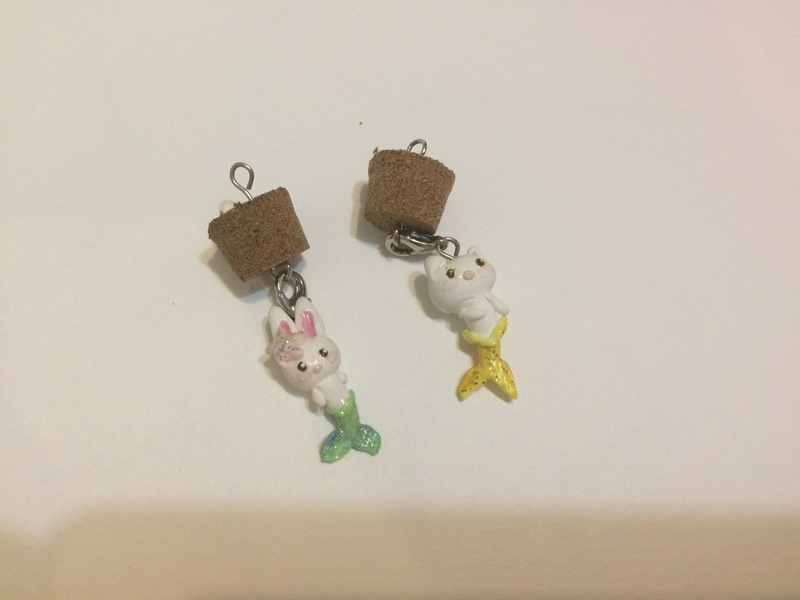 She asked to put a charm hook so it can be both a pendant and a charm. How brilliant!